Civil Liberties Australia Inc’s electronic Annual General Meeting for 2015 has concluded, with a 60%-plus ‘turnout’ overall. This is a few points up on the percentage recorded in 2014. More than 40 members (above 25% of those who voted) also made comments on CLA’s work during the year: the comments were overwhelmingly positive, and some very positive, while a few raised issues. Some members made suggestions for future improvements, with two people suggesting the holding of physical meetings. That is difficult for an organisation spread throughout Australia, which is why the Board has decided to concentrate on the electronic approach, given that people now overwhelmingly communicate by email or online methods (we continue to cater by post for those who don’t). Two other members suggested increasing use of social media, which is an issue the Board has under active consideration. Members are encouraged to comment on day-to-day matters at any time by email or through the website, and also to write articles expressing their views. See ‘COMMENTS’ (below) for the comments received in 2015. This is the Report of the 2015 electronic Annual General Meeting of Civil Liberties Australia Inc. A04043. It comprises the ‘minutes’ of the 2015 eAGM. There were 279 voting tokens or papers issued, with 255 issued electronically and 24 by post: 158 of the 255 members (62%) voted electronically, with 10 of 24 (42%) voting by post, for a total voting percentage of 60.2%. If this is considered the “attendance” figure for an AGM, it is far higher than is possible at a physical AGM: in fact, it is doubtful that Civil Liberties Australia could ever achieve a quorum at a physical AGM because of our far-flung membership. Members had the option of making comments as they voted: there were no comments explaining why the above members voted against approving the various documents. A total of 44 members (more than one-quarter of members who voted) took the opportunity to make comments. Those retiring from the Board at the 2015 election were Lance Williamson, who served for eight years, and Rex Widerstrom, who served for three years. The Board is extremely grateful for the contributions made by each to the work of CLA. In particular, Mr Williamson began and ran the CLA website from its inception, and is continuing to do so during 2015. As there were 8 nominations for a possible 12 positions, no vote was required, and the 8 nominees are confirmed as Directors of CLA (when the Board meets for the first time after this eAGM, it will elect the office bearers). Under the CLA Constitution, the President can appoint Board Members in the two-year period between votes for Board Members. It is possible the new President will appoint one or a number of members to the Board in the coming year, especially to add particular skills. 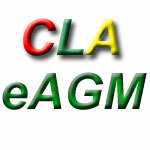 The above results are ‘declared’ for the 2015 eAGM of CLA. CLA continues to be one of few organisations dedicated to identifying and challenging the creeping authoritarianism and intrusive petty regulation both major Australian political parties seem incapable of transcending. 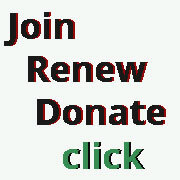 CLA has my sustained support. 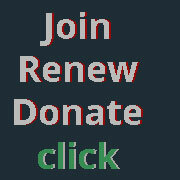 Increasing membership is a highly desirable objective. CLA is doing a great job. CLA is becoming more and more needed as the Government takes away our privacy and introduces surveillance and snooping. There is a need for greater member participation on policies and priorities. In most organisations an AGM provides an opportunity for discussion. CLA needs to find a way for face to face discussion with members. CLA is our collective conscience. Keep up the good work. The CLA newsletter is a mine of information. Congratulations to our indefagitable editor. Every month, I am amazed at the breadth of subjects covered in CLArion and filled with admiration for the wide-ranging report on matters of interest to CLA members from all over the world. It is indeed good to know that we have such guardians of civil liberty as (the President and Board) and their tireless efforts to protect and preserve this precious right should be applauded. I am not an active member as such, in regards to making any comments on matters pertaining the matters voted on, I believe the office bearers to of such eminent persons so therefor all is in order. I am a concerned person who worries about the ‘silent’ erosion of our civil liberties. 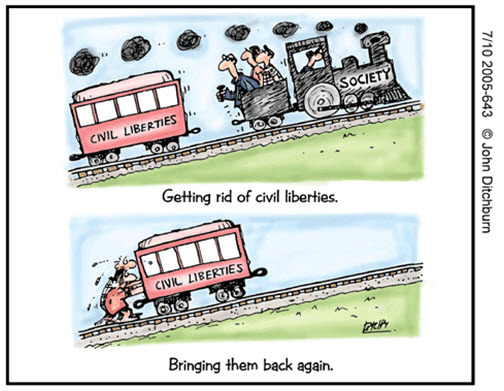 I enjoy reading the newsletter and being kept up to date on issues affecting civil liberties. If only more of the general public indicated their concern too. Thank you for the opportunity to make comment. Just keep up the good work you are doing. I would like to thank the Board for its outstanding efforts over the past 12 months & encourage them to continue their efforts on behalf of all CLA Members. Congratulations to the President and CEO on their tireless stewardship and inspirational leadership. 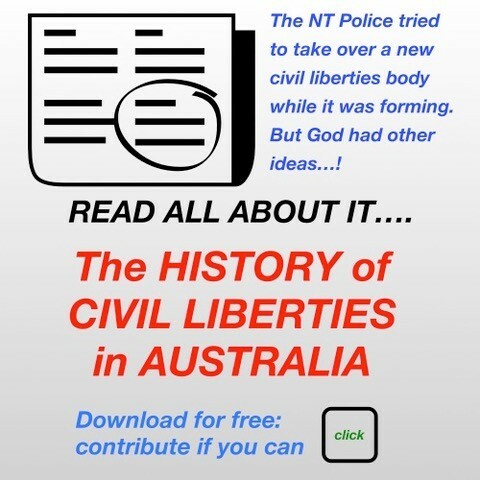 I think we should be named “Constitutional Liberties Australia”. We are not some ratbag group of hippies trying to defend murderers and ne’er do wells but we do represent a mass of conservative opinions as well as radical opinion. The truth is that most of the Australian public is probably both to the right of the (fascist) Liberal party (ie more libertarian) and the Left of the Labor Party (ie they want real reform back to basics, not covering up for the police State). We should copy the Greens and get corporate sponsorships by unmasking the banks’ spying on their customers for government etc, raising questions at AGMs and so forth. A “citizen’s privacy audit statement” should be demand of our corporates, now so in bed with the surveillance State. Cheers. Keep up the good work ! Now more than ever CLA needs to be running twice as a fast and thinking just as fast ! We (CLA) are doing a fine job in public awareness. On reading the monthly CLArion news I feel that CLA has achieved a great deal throughout the year and I feel very proud to be a member. Thank you, informative and comprehensive. Annoying bank charges, can these be avoided? Keep up the great work! Well done. I think the Executive has been impressive, both in its management and in its pursuit of democratic justice for all. Your work continues to be stellar and I congratulate you on CLA’s achievements. Australia is a better place for the hard work you do in making sure civil liberties are front and centre of our minds. Thank you. Thank you to the President and the other office-holders for their efforts through the year. The President’s report and annual report both make for sober – and sometimes disheartening – reading. But I’m glad CLA continues to fight the good fight and I look forward to being able to contribute in whatever way I can. To optimise effectiveness CLA must engage effectively in social media. If we cannot change minds we are ineffective. Should initiate effective campaigns on social media so as to engage and enlist the support of a wider community base as well as the I.T. savvy . Given the issues that are on the radar at this time, I believe you are doing an excellent job of addressing them and including the membership in your responses. You aren’t beginning to address the issues of human rights abuses until you look at the global eugenics setup. I have voted to approve the annual report, but feel that some parts should have been written in a less extreme and sensational style (eg. ‘counter-liberties forces of repression’ and the whole of the fourth paragraph ‘To save us from manufactured ….’. It is legitimate to ‘have an agenda’, but great care is required to show that you are open to reasonable argument: failure to do so leads to your case being discounted by those you are trying to convince. Despite this, keep up the good work. I read (the reports) satisfied on the works of the CLA so far. I am a firm believer in Human Rights and Civil Liberties are fundamental. To err is human but Rights are for humans all. CLA helps identify and raise attention to rights suffered by victims of such mistakes. To seek solution is indispensable and mistakes need to be brought to attention. Good work CLA!! Such work should be supported also by government grants for it works for the Civil Society and its (constructive) criticism deserves support. Another year of Company being administered and governed in an excellent manner. Keep up the good work….more important than ever! I submitted a brief article for publication last year but it was not approved. Does CLA filter out articles for publication whose themes it does not approve? The article was concerned with section 27 of the PPIP Act 1998 (NSW) that exempts NSWPF from the Privacy Principles except where the complaint concerns their educative and administrative function. This means that any information which is inaccurate, misleading,out of date, incomplete or irrelevant on NSWPF law enforcement documents will not be amended. NSWPF run a web site called Crime Stoppers in which anonymous persons can provide allegations of criminal misconduct against anyone. These allegations are then recorded on COPS WITHOUT verification of their truth. For example, I could post entirely false allegations about you to Crime Stoppers, those allegations would be recorded for all time on COPS, you might not be informed and if you were informed could not guarantee that you would be permitted to place a notation that the allegations were false. You could NEVER have them removed. This in my view is one of the elements of a police state. It is no different to the files which were kept on the East German people by the Stasi and no different to the files kept by J. Edgar Hoover, former Director of the FBI. It is not good for CLA to be known as the ‘anti anti-terrorism’ group. It makes CLA look like a naive wacky leftist tool/apologist for the jihadists. Isn’t it time to see more outrage from CLA at infringement of civil liberties by jihadist organisations worldwide, and the single greatest threat to human rights in our time — the so-called ‘Islamic State’. Very impressive work and very interesting reports. But where does one start in a country where so much needs to be reviewed and redesigned and politicians are so unwilling to listen, face facts and be guided by logic? CLA perseverance is admirable. As every year progresses it seems to me that the work of organisations like the CLA becomes more important. The notion that non-violent dissent is critical to a successful democracy does not seem to be understood by a significant number of politicians at all levels of government, at this time especially the Commonwealth Government. Re: President’s report, I was disappointed that Senator Sarah Hanson Young Greens was not mentioned in the para beginning ‘Refugee policies of both…” . She has spoken out often to criticise government refugee policy. I am so appreciative of all your work. It is amazing! Congratulations on all that you do, all that you achieve and without all the resources you should have. Just keep up the excellent work. Thank you for another year of inspirational work. CLA presents a strong voice on civil liberties — a strong voice that Australia cannot do without. All looks ok to me. I hope to do some work on repeal of helmet laws myself and appreciate the CLA’s efforts in all areas. I cannot stress enough how valuable an organisation such as CLA is to the progress and welfare of our nation. Thank you for the tireless work you do. I strongly identify with Lewis Carroll’s Red Queen quote* in the President’s Report, particularly in the work of holding this Coalition government to account on so many fronts which seem to increase by the day. We all owe you a great debt. Well done. I commend the commitment of the Board but also endorse the comment at a previous AGM of the value of face-to-face meetings with the membership. * Basically, to keep up, you have to run harder and faster every year. Total 44 comments out of 168 Members who voted.